Northern California Trout: How Was Your Halloween?? When we moved into this neighborhood 2 1/2 years ago, I queried my neighbor across the street as to how much candy I should get. They had been here several years and I figured out they would have a handle on trick or treaters. They said to get 3 bags of candy. One for the kids and two for us to eat. Works for me. We had about 15 hit the door and of them, 10 were the minions from the end of the court and their friends from school that were having a party at the Minion House. There is a story behind this (minions), but that's for another day. This year I got one bag and proceeded to eat it. OK, went back to the store and got another bag with 100 pieces in it. Should handle about 15 trick or treaters. First to the door were two. I gave them 4 each. Wanted to makes sure I had enough for the rest. What rest? That was it for the night. The minions from the end of the court went to a party over in Sutter Creek and took their group with them. Now if I can subtract correctly that left 92 pieces of candy for us to eat (no problem there) because I always get the type of candy I would eat too. That plus the other bag I consumed (most of it anyway) is more of a sugar overdose than I've had in a while. I should be good with the sugar intake until..................maybe next Wednesday. What is more appropriate than a trip to the cemetery on Halloween?? 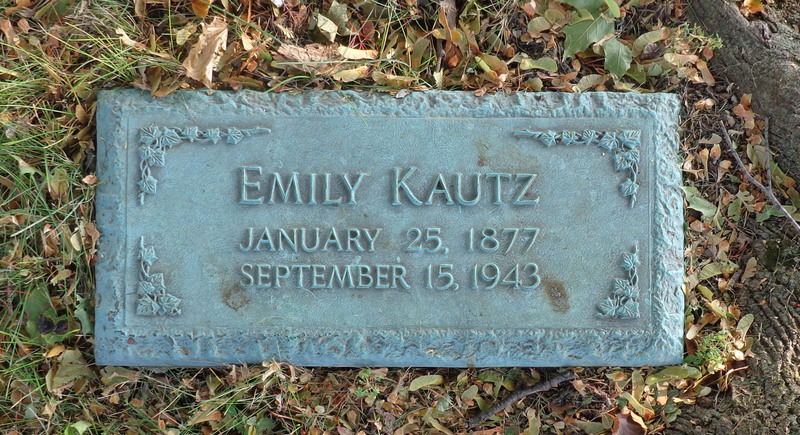 You all know I've been doing the Genealogy thing since last December so I'd like to share some of my cemetery discoveries. My Great-Grandfather. This is all I've ever been able to find other than the Obit my mother had. I've not been able to find the gravestone of my paternal Grandfather Henry Joseph Fish on my mother's side, yet. OK, won't bore you with any more, but I have 3 Word documents with pictures of gravestones of my ancestors. If you're interested in seeing your's, you might try this website. 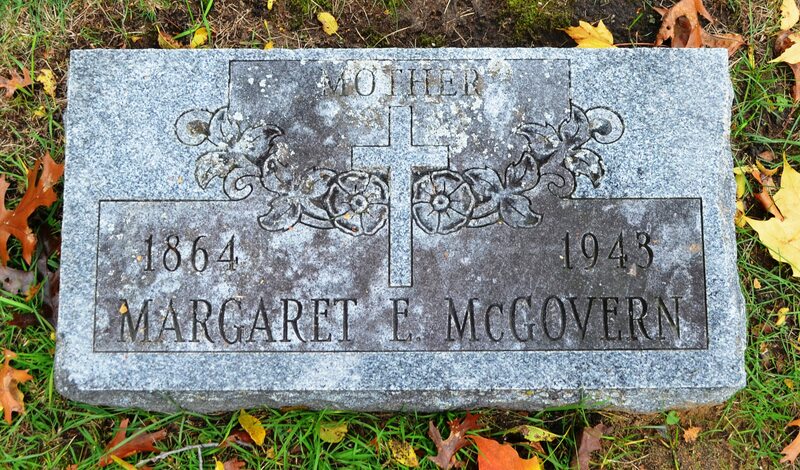 There is a huge project out there to photograph headstones for Genealogy research. I've even found some of my relatives gravestones over in Europe on this site. Another site you can look at is Billion Graves. Both are FREE and you'd be surprised the information you can find on your ancestors on one of these sites. 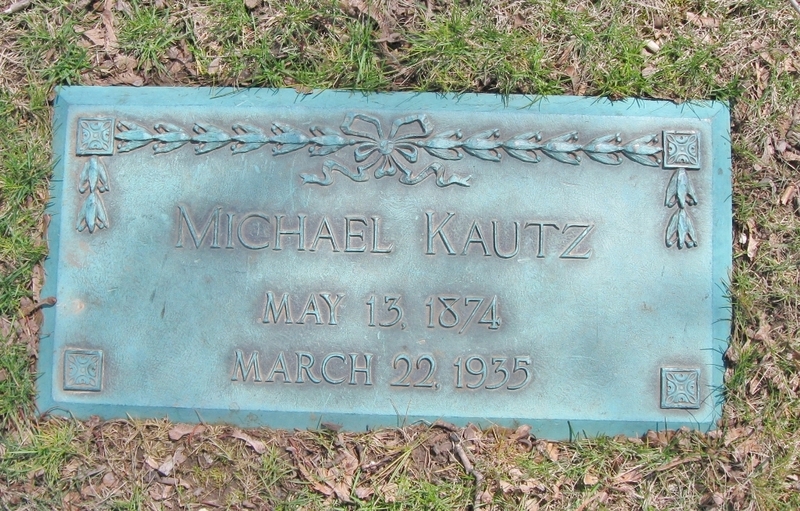 If you have any questions about searching for your ancestors, let me know, you can email me at markkautz1946@comcast.net. I'm getting pretty good at finding people and can probably send you in the right direction. I might get to fish next week if I get my truck back from the shop. Good research, I agree Find-a-Grave is an excellent site if one is searching for links to their family tree. I rejoin Ancestry once a year usually in January to check and see if any new info has been published there concerning my ancestors. I've found that is extremely difficult to trace individuals beyond 1800, even on Ancestry. I could travel to Fredericksburg Va. and research the father of my Great, Great Grandfather, but my wife isn't interested in helping me search out graves in cemeteries or go through flies in a courthouse. It looks like you've made a lot of progress with your research. Hi Bill. You might also try Familysearch.org It's free and I've found a lot on that site too. Another one I use is MyHeritage.com, but his one cost around $79.00 a year. Not one to do the family tree on, but good for research. Let me know if I can be any help. You have my email. As you might imagine, genealogy has become very important to me this year. Luckily I have a genealogist who is not only good, but did all the hard work for me. Keep digging Mark because it all matters.